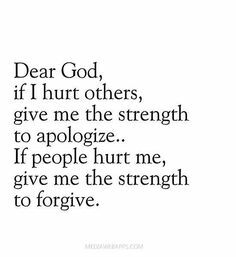 When Someone Says 'sorry' Do We Forgive Them Truly?? Discussion in 'Jokes' started by ambika ananth, Aug 3, 2005. When someone says ‘SORRY’ genuinely, do we forgive them truly?? 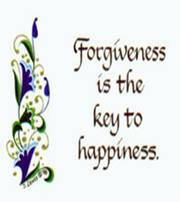 And how important is it to be truly forgiving and forgetting the wrong done by somebody knowingly or unknowingly? I will give you one important episode where in its proved how important it is to apologize and be truly forgiven and how important it is not to make a mockery out of the act of ‘forgiving’ but be truly forgiving to relieve a person from bad feelings and guilt..!! When Leonarda da Vinci laboured on his master piece THE LAST SUPPER, he became angry with another man for no reason. They quarreled, da vinci hurling bitter accusations and threats to the other fellow. Later, returning to his canvas, he attempted to paint the face of JESUS but found that he was unable to do so. So upset was he with himself for his unreasonable anger, he couldn’t compose himself for the painstaking work of painting the Lord’s face, which should reflect total serenity and compassion. He set down his brushes, went in search of the man, whom he wrongly accused and verbally abused. He apologized and said SORRY very genuinely. That man was touched and graciously gave da Vinci ‘ forgiveness’. Only then was the great artist felt composed and was able to return to his work and complete the face of lord Jesus, and the painting later became to be known as his Master Piece . Could Someone Shed Some Light ? SORRY I didn't mean you..its about the general human tendency..
Subconsciously its difficult, but again it also depends on person to person how they perceive things.